Hello all! It’s been a while … I’m still whirling about. I have daily meetings at 2 pm … after I’ve had lunch … for a project in which I’m only partially involved … I need to stay awake and alert … so I resort to my doodles. hey! at least it looks like I’m taking notes, right? And it looks a whole lot better than those who sit there fiddling with their phones and swiping, and poking, and sliding … right? 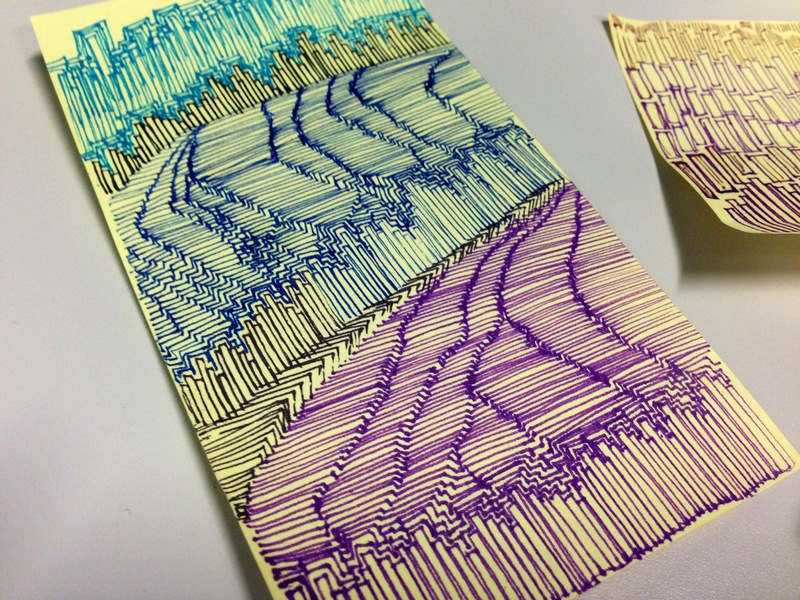 So – my first set of doodles – skyscrapers and fields come to mind.